Beauty truism: thick, slightly unruly brows are a sign of youth. Classic Hollywood beauties, Brooke Shields and Audrey Hepburn, are bushy brow idols, and the look is still very much on trend today thanks to 21-year-old Cara Delevigne, the fashion world’s girl du jour. Her thick luscious eyebrows have become one of the most coveted looks, so I’m going to take you through my method for achieving big bold brows. First off, there are a few different methods to create thicker, fuller eyebrows by using several different products such as liquid liners, pencils, powders or creamy formulations. But my favourite way is to take a very fine pencil and draw in tiny eyebrows, as I find that powders can look too ‘built-up’ leaving you with a cake-y finish. An eyebrow pencil that is close to your eyebrow colour or one shade lighter. TRY: M.A.C self-sharpening pencils and brows by Anastasia. An eyebrow brush or a product-free mascara wand. Step 1: Brush and Pluck. Brush up the eyebrows to reveal your natural shape using a clean eyebrow brush. Tweeze out any stray hairs that don’t belong. Step 2: Define the shape. Starting on your left eyebrow, take the eyebrow pencil and line it up with your nostril; That’s where your eyebrow should start. Dot this spot. 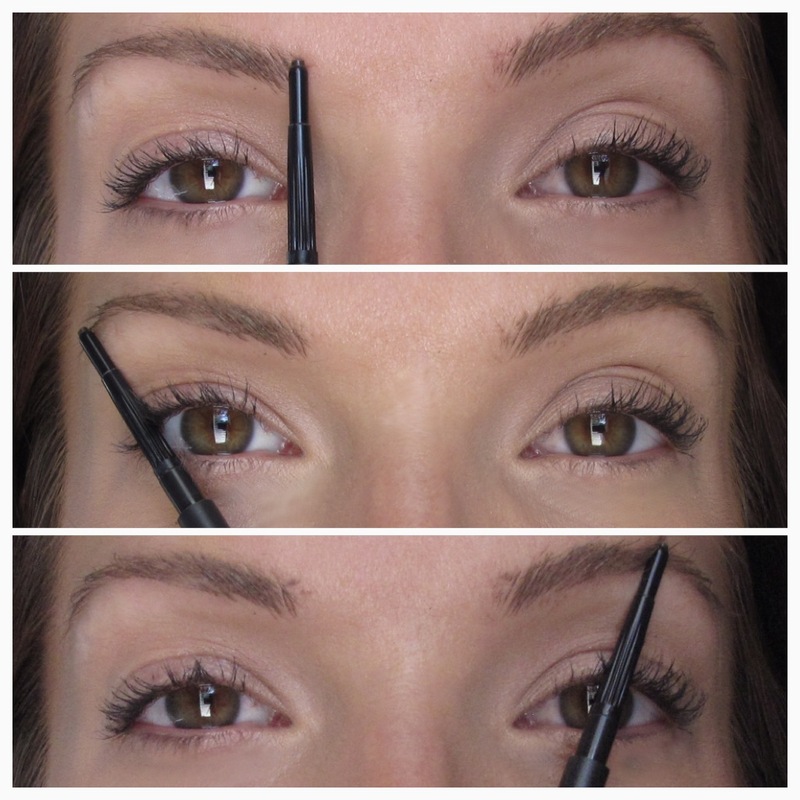 Then take the pencil and rotate it to outer corner of your eye; This is where your eyebrow should end. Dot this spot. And then take the pencil and rotate it diagonally to the center of your eye; This is where your eyebrow should arch. Dot this spot. Repeat this dotting procedure on your right eyebrow. Step 3: Thicken and tint. Use the tinted eyebrow gel/mascara to thicken up your eyebrows and darken any lighter stray hairs. You’ll be surprised at how many are there! Step 4: Pencil ’em in. Using short strokes, use the eyebrow pencil and brush it on like you’re drawing in hairs. Go the same direction as your natural brow. Step 5: Brush to blend. To finish the look, use the eyebrow brush (from step 1) and brush through the brows to blend it all together. About the Author Sarah Scotford is a Canadian model, actress, and makeup artist. Photo credits: Cara shot by Terry Richardson; Instructional photos provided by Sarah Scotford. 78 queries in 0.902 seconds.